Settlements at the Edge seeks to assess changes that impact people (often indigenous) living in sparsely populated and remote settlements within countries that are regarded as developed. Many of these changes are related to declining population, an aging population, gender imbalance, climate change, globalisation, natural resource extraction, or company closings in mono-industry towns. What does the future hold for people at a nation’s periphery? Who will shape their future? These are complex questions and the answers are not easy for national, regional, and local policy makers. 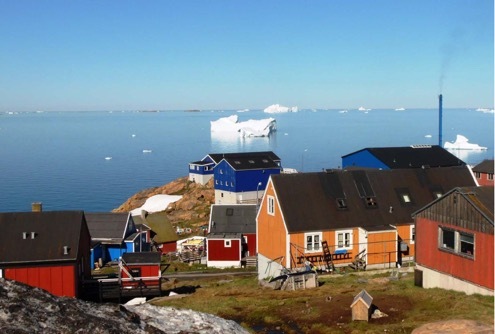 Australia, Canada, Greenland, Finland, Iceland, Norway, Sweden, Russia, and United States face concerns related to the well-being and sustainability of small communities of indigenous and non-indigenous people in remote sparsely populated areas within their national boundaries. Settlements at the Edge provides a collection of research studies aimed at understanding these issues. Over fifty academic researchers and practitioners from ten countries have contributed to this volume. Their work is aimed at exploring and understanding relationships between settlement population, location, and the economy at a micro or local level. Numerous case studies help to support their conclusions. It is an extension of the work published in Demography at the Edge edited by Carson, Rasmussen, Ensign, Huskey, and Taylor (Routledge 2011). Settlements at the Edge uses Carson’s (2011) Eight D’s conceptual framework for analysis to provide an overarching understanding of the causes and consequences of demographic change in sparsely populated parts of developed nations. It helps to explain the human demographics and economic geography of remote settlements as well as to differentiate them from rural areas and hinterlands. This framework provides a helpful descriptive, comprehensive, and unified approach for the analysis of a wide range of demographic changes that impact remote settlements. Settlements at the edge are diverse. The demographic characteristics of an SPA are highly diverse, i.e. demographic averages across a cluster of settlements do not represent what might actually be occurring. For example, this includes the demographic measures of migration, mobility, fertility, mortality, and family structures as well as the socio-economic measures of housing, income, education, and health within and between settlement populations. Settlements at the edge are discontinuous. There is no clear ‘hub and spoke’ pattern for the geographic pattern of settlements beyond the periphery. Settlements at the edge are disconnected. Large distances between settlements, poor transportation linkages, and population diversity contribute to remote settlements that are relatively poorly connected to each other as well as to larger towns and cities elsewhere. Case studies, however, show that globalisation can create new patterns of international migration for individual settlements. Other factors include tourism, second home ownership, fly-in and fly-out workforces (many from abroad), and other forms of temporary populations that can lead to local innovation and entrepreneurship. Settlements at the edge are dependent. Historically, SPAs have often been established by external forces with resulting changes in education, health, and economic development/growth. Mono-industry settlements (such as mining) tend to become ‘locked in’ to a particular demographic or economic structure. Their path dependency leads to an imbalance that makes it hard to consider new opportunities. It can also lead to their inequality within the system. Settlements at the edge are delicate. Remote settlements present a myriad of forecasting challenges because the composition of these small populations continue to change based on mobility, migration, gender, age, etc. In general, the information on population change derived from national and region-wide datasets do not produce mathematical extrapolations for local remote settlements. Another example is that SPAs with natural resources can create tensions with regard to ownership, environment, employment, as well as Indigenous, governmental, and industrial goals. This latter point means that a nation’s government must be sensitive to these marginalized and distant constituents who can draw significant national and international media and NGO attention. Settlements at the edge are dynamic. Remote settlements are prone to rapid and unforeseen shifts in their demographic and economic composition. A single isolated event, short-term shift, or long-term socio-cultural, economic, or environmental change can alter a settlement inexorably. Tipping points may not even be recognized until well after the fact. Case studies, however, provide evidence that if these demographic and economic attributes are identified early they can assist with planning and response by local communities and governments. Settlements at the edge are distant. By definition these settlements are geographically remote, not only from urban core areas but (perhaps more importantly they tend to be isolated) from other remote settlements. The lack of human and economic linkages reinforces a dependency on outside assistance. Despite new technologies that theoretically allow for more distributed services, the inability of planners and service providers (most urban-core based) to create cost-effective smaller economies of scale means that many technologies are not exploited. In some cases, the remote settlements have assumed the responsibility for the services that would be expected to come from the outside in other places. Settlements at the edge are detailed. The small size of a settlement can magnify a minor demographic or socio-economic event (e.g., a few more births above the long-term average) can have major downstream ripple effects (e.g., more school children in a very small remote settlement). The changes in individual behaviour and preferences can also influence the behaviour of others. Settlements at the Edge introduces another ‘D’- Divide – to the ‘Eight Ds’ approach. Research and case studies not only show a diversity of settlement types and characteristics but an apparent ‘divide’ irrespective of the physical distance between SPAs. Sparsely populated regions can often be characterized as having a significant divide within an SPA. The divide may include: the richest and poorest settlements; the fastest growing and rapidly depopulating; the most economically stable and the most economically fragile; or the most politically connected and most marginalized. This ‘Ninth D’ captures the hopes and fears, dreams and disappointments of what the ‘edge’ means to people living in remote settlements within developed nations. By Asbjorn Osland, Ph.D. Professor. School of Global Innovation and Leadership. Lucas College and Graduate School of Business. San José State University. San José, California USA.